Hand hammered, reclaimed silver is hand fabricated into layers of abstract shapes. Finished with a lobster claw clasp. 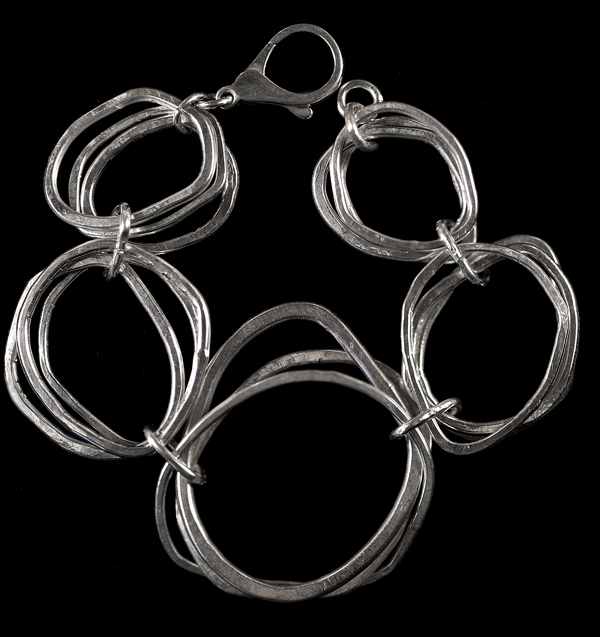 Layers of hand fabricated, reclaimed silver is hammered and sautered into abstract shapes to create this dimensional bracelet. Bold and textured, this is a wonderful statement piece.